Today, the radio workshop takes place in Bersive-2 Camp. Bersive camp is close to the city of Zakho, not far from the border with Turkey. 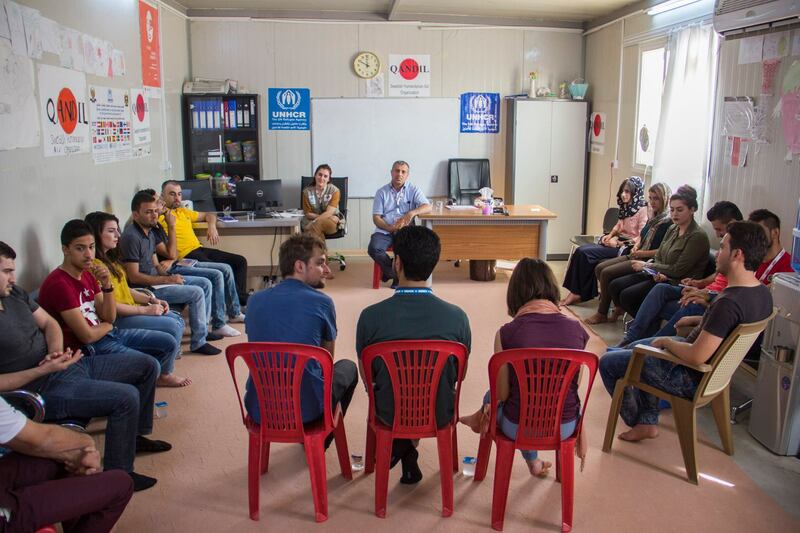 This camp hosts 9,000 internally displaced people who used to live in Ninewa Governorate. Most of them are Yezidis who left Sinjar during the 2014 massacre, when ISIS attacked the region. Very few of them have come back since. 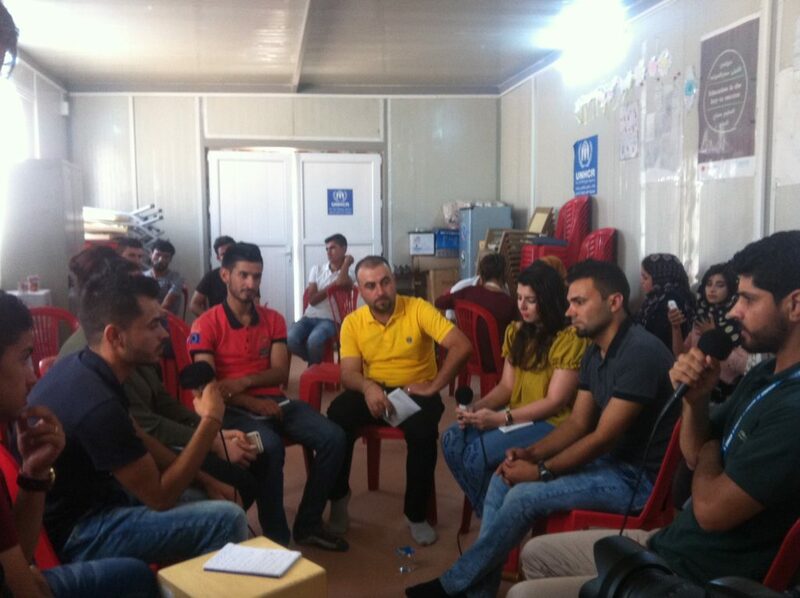 Here in Bersive and in the other camps around Duhok, they have a safe place to live. Humanitarian aid is provided by many NGOs. Displaced people can also work, but they remain far from the nearest town, with few possibilities of integration outside the camp. Perspectives of return are also very uncertain as the Sinjar region is still unstable, and the symbol of traumatic events for the Yezidi people. More than 12 participants are waiting for us when we arrive. They have been chosen because they are particularly interested in the media. We are in a big prefabricated building, a community centre managed by the NGO Qandil. The temperature has increased and voices come from everywhere around Shvan, our translator. Now, nearly all the participants feel like speaking, sometimes interrupting others. We feel that everyone would need more time to talk, but with a big group, it is not easy to let everyone speak personally. To make everyone more comfortable, we divide participants into two groups.